Resilience is rooted in our farms, from seedlings that emerge from the soil and blossom into healthy produce that sustains our society, to farmers who endure all of Mother Nature’s wrath to ensure that our communities remain prosperous. Initially inspired by the restoration of a major Georgia river that runs through Columbus and the resulting recovery of a river ecosystem, we decided to celebrate the demonstrated resilience of plant and soil and human communities under the care of sustainable farming practices. 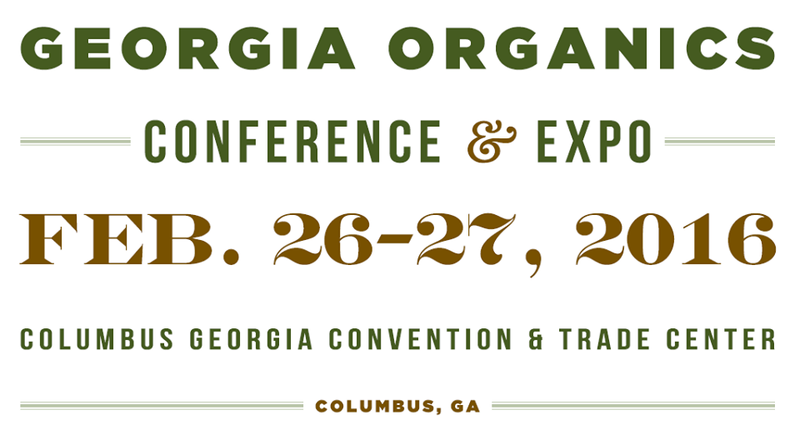 For the 19th Annual Georgia Organics Conference, we are heading to Columbus. Once Georgia’s last frontier, Columbus is now the second-largest city in the state and one of the host sites for the Georgia Food Oasis project. We’ll be uniting more than 1,000 attendees to learn, network, feast, and champion organic foods and farms. The two-day conference is one of the largest sustainable agriculture expos in the South, attracting farmers, health advocates, gardeners, parents, DIYers, and everyone in-between who cares about healthy foods, farms and families. This year the Georgia Organics Annual Conference will feature seven Farm Tours, eight In-depth Workshops, 36 Educational Sessions, a Grits & Vigor Expo, Joan Gussow keynote, and the famous Farmers Feast, featuring local, organically produced food.